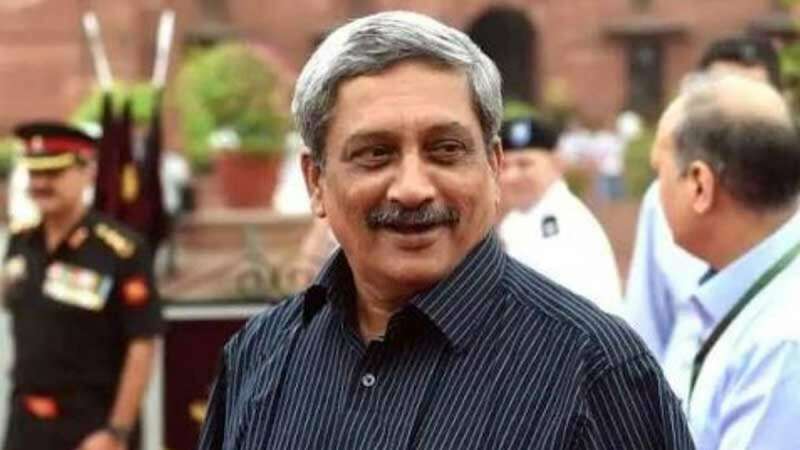 Panaji : Goa Chief Minister and former defence minister Manohar Parrikar passed away at the age of 63 after losing a battle to pancreatic cancer. He took his last breath at his son's residence in Goa. Since February 2018, he had been going in and out of the hospitals in Goa, Mumbai, Delhi and New York after he was diagnosed with a pancreatic cancer. The opposition party had been slamming the government for not giving him a break from the politics, reacting to which he had said in January that he "will serve Goa till my last breath." Like he said, he did the same and kept serving the state till his last breath. After long hospital stints, Mr Parrikar even presented the budget in the Goa assembly in January. He made up for his weakened delivery with rousing words. It was during Manohar Parrikar's tenure as Defence Minister that the re-negotiated Rafale fighter jet deal between India and France was inked. The deal has dominated headlines since as the Congress accused PM Modi of corruption while alleging Mr Parrikar had no idea about the deal signed between the two nations. In January, Congress President Rahul Gandhi called on Mr Parrikar to inquire about his health even as he continued to attack the PM Modi over the Rafale deal. The controversy continued as Mr Parrikar accused Mr Gandhi of using his visit for "petty political gains". Rahul Gandhi had said the former defence minister had told him that "he had nothing to do with the new Rafale deal."